MySpace was recently sold for a fraction of the price that Murdoch bought it for, which, coupled with the News of the World scandal, has quickly made this a helluva bad month for the Murdoch clan. Wear it. As good as dead as a social service, we have to take a look back at what MySpace has given to us, the music loving public. 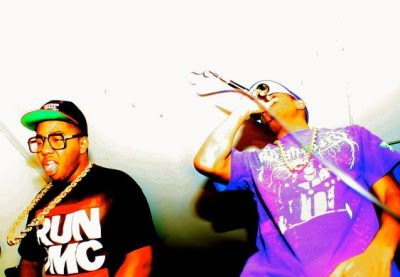 Other than being a decent site to check out the tour schedule of your favorite artist/band, the biggest achievement of MySpace was bringing Michael Rocks and Chuck English together, forming one of the dopest duos in rap right now. From their jaw dropping mixtape "The Bake Sale" to finally dropping their debut album When Fish Ride Bicycles, The Cool Kids have always done things their own way. While their new music has an added layer of complexity compared to their earlier stripped down lyrics and vocals, they continue to make jams that simply bang. Though not the dopest lyricists around, the two make have come on a recipe which just works. On "Penny Hardaway" the duo bring along the Ghost himself and the three take turns doing what they've all been doing for years: their thing, Penny Hardaway.